The Brahmas beat down the third ranked Reagan Rattlers Saturday 42-17, moving them up to a 7-1 record and making them tied for first place in district football standings. The Brahmas totaled 551 yards in the game and wide receiver David Eberwine caught two touchdown passes, including a 76 yard leaping catch to score. 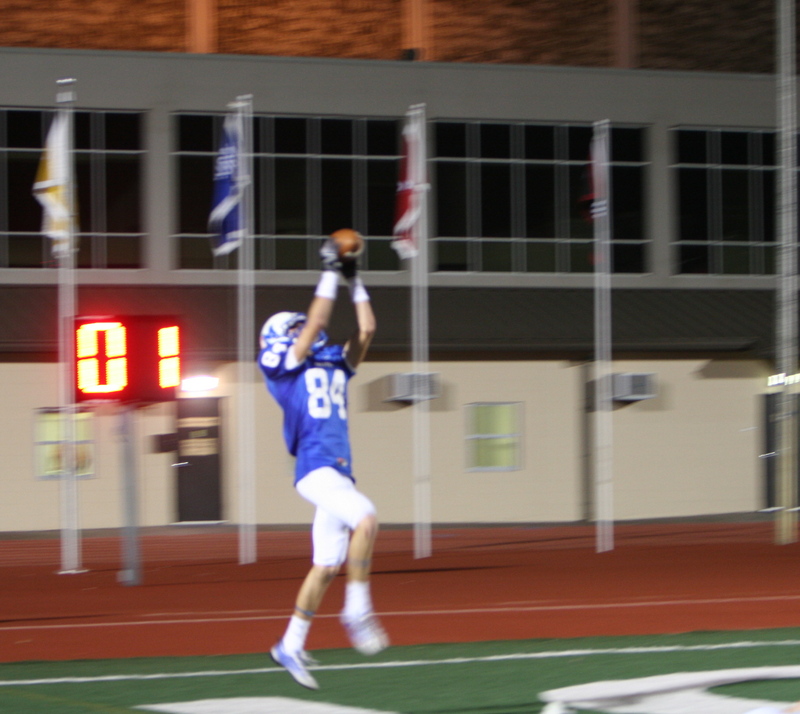 David Eberwine (12) scores again with a short catch in the end zone. This week MacArthur will continue district play taking on 0-3 Lee High School Friday at Comalander. MacArthur’s district record is 3-1 tied with Roosevelt, while Reagan and Madison closely follow a game behind with 2-1 records. Churchill sits in fifth place with a 2-2 record.